India has an extremely diverse terrain, climate and vegetation, which comprises extremes of heat and cold, of desert and jungle, of low lying plains and the highest mountains, of dryness and dampness, islands and continental areas, widely varying flora, and sharply marked seasons. 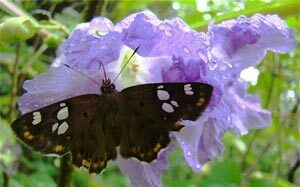 Butterflies along with moths make up one of the major insect orders or groups known as Lepidoptera. With over 12% of the world's avian diversity - in other words over 1200 species - including a significant number found nowhere else on earth, India is an enthralling destination for any birder. Add to this the presence of a comprehensive network of protected areas filled with many sought after large mammals, and there is a wealth of possibilities for a wildlife holiday in India. Indianature is a small, specialised natural history travel company dedicated to organising and operating birding and wildlife expeditions across in India. Without exception, every tour is carefully designed by birders and naturalists using our own knowledge of, and enthusiasm for, our own region and its wildlife. Follow the links on the menu bar above to browse through our small group itineraries - all of these tours run to scheduled dates, which are also indicated in our tour calender below. 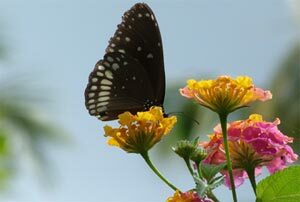 These set departure tours are designed to incorporate the best wildlife and wilderness destinations in each region, providing the best chance to see and exceptional number of species within the timeframe, with an additional emphasis on the specialities and regional endemics of each area - be they birds, butterflies, or mammals. Professionally led, and following fine-tuned itineraries, these tours use carefully selected accommodation, and operate with small group sizes to limit our ecological footprint and offer you the best possible birding experience. You will also find anytime itineraries, which can be run for the independent traveller or private group, at a time to suit you, with or without an accompanying leader. If you prefer to travel independently or in a private group the itineraries you will find within this website may be used as a guide to plan your tour, however all of these can be tailored according to your target species, time or budget constraints, or any other interests you may wish to incorporate. From the moment you contact Indianature we will be personally involved in your holiday from start to finish, leading all of our set departure and most of our anytime tours ourselves. Browse through our itineraries and information and feel free to contact us at any time if you need any further advice, or to begin planning your exploration of Indian nature with Indianature.